A vertical of Andrew Will's signature wine; Cabernet Sauvignon driven Sorella. 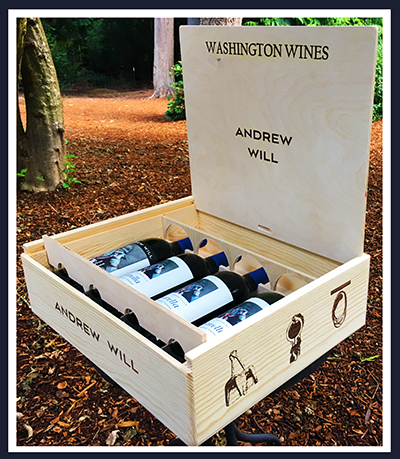 The wooden gift box contains one bottle each each of the 2012, 2013, 2014 & 2015 Sorella. All are highly rated; 2012 (96), 2013 (94), 2014 (97), 2015 (98). The Sorella fruit comes from the famed Champoux Vineyard in Horse Heaven Hills of which Andrew Will is part owner.